Hey, remember Eliot Spitzer? Back in 2008, he was forced to resign as governor of New York because of a (very expensive) prostitution scandal. Well, now he's running for city comptroller. He made the announcement in an interview with the New York Times on Sunday night and later confirmed it in a Tweet. 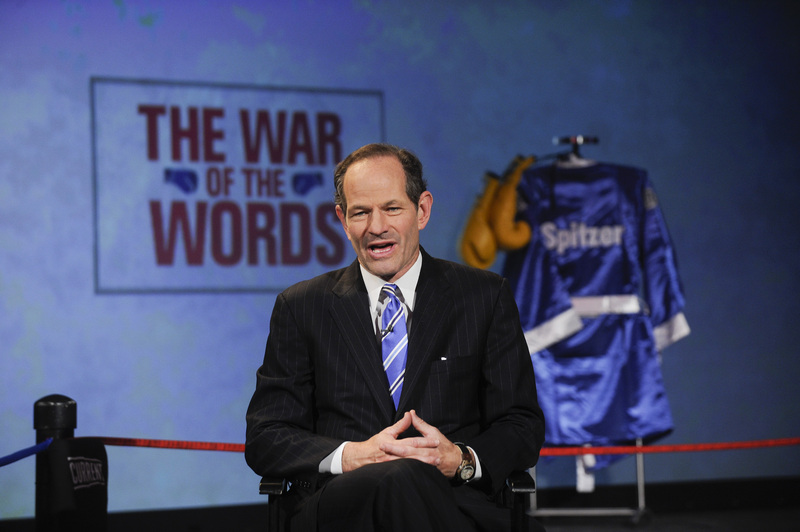 In the phone interview, Spitzer told the Times that he was "yearning" to bring the aggressiveness he'd had as attorney general to the comptroller position, and was pretty sure New Yorkers would be happy to have him running for office. Er, really? Because a poll taken by The Marist College nine months ago asked if city voters wanted Spitzer to run for mayor. Only 30 percent said yes, and 58 percent said no. Perhaps this is just a case of Anthony Weiner envy? Before he became governor, Spitzer had made a name for himself as a formidable attorney general that cracked down on Wall Street, but that reputation became marred when it was revealed he had patronized a high-end prostitution ring called Emperors Club V.I.P. during his time as governor. “I want to say to the public...I want to ask their forgiveness for what led to my resignation,” he told local TV station NY1 on Sunday night. Spitzer has also said that he's planning on paying for the campaign himself instead of using the city’s public financing system, in spite of the race's expected cost of over several million dollars. But seeing as Spitzer once paid the Emperor’s Club VIP agency $4,300 for a prostitute, that probably won't be too hard to finance. The office of Manhattan borough president Scott M. Stringer—who is also running for city comptroller— released a statement on Sunday night in response to the news of Spitzer's intended run. “Scott Stringer has a proven record of results and integrity and entered this race to help New York’s middle class regain its footing,” the statement said. “By contrast, Eliot Spitzer is going to spurn the campaign finance program to try and buy personal redemption with his family fortune.” Burn. In order to make the the primary ballot in September, Spitzer has to collect at least 3,750 signatures by this Thursday—and he's ready for it, apparently. “I am going to be on the street corners,” he told the Times. Watch out, New Yorkers.